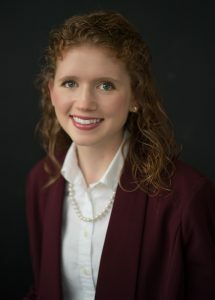 Medical student Erica Seabold will give the keynote address at the Global Health Initiative Symposium. The Wright State University Boonshoft School of Medicine’s 14th Annual Global Health Initiative Symposium and Global Food Tasting will be held Thursday, May 2, at 5 p.m., in White Hall at Wright State University. The event will begin with a global food tasting, silent auction and student presentations to raise funds for medical students participating in the Boonshoft School of Medicine International Education Program. The keynote speaker will be Erica Seabold, a member of the class of 2019. She will share the inspirational experience she had volunteering in The Republic of Congo. She has traveled to Africa four times for medical mission trips. Three of these trips have been to Pioneer Christian Hospital in the Congo, most recently in January and February of 2019, when she delivered twins. Her efforts to establish an emergency ambulance service in the Congo also contributed to her receiving the Outstanding Third-Year Student award from the Wright State University Academy of Medicine. Seabold’s first trip was to Liberia in 2012, when she was a student at Cedarville University. She had just finished her first year of nursing school and was traveling with African Bible Colleges to work out of a mobile clinic. The lack of health care surprised her. She saw that people did not know what vaccines were, or readily believed the claims of shamans. Seabold watched as the doctors worked with meager resources to set bones, aspirate knee effusions, help burn patients and treat children with epilepsy. After graduation, Seabold plans to complete a residency in family medicine with a focus on obstetrical care and is committed to working long term in a developing country. First-year medical students at the Boonshoft School of Medicine founded the Global Health Initiative in 2000. The initiative’s mission is to enhance the education of Wright State medical students by facilitating their exposure to both the medical issues facing people in other countries and the medical issues of people in this country who have immigrated and, in so doing, inspire greater compassion, social justice and empathy within future physicians. The cost is $50 for general admission and $20 for Boonshoft School of Medicine students. For more information, contact Delores James at delores.james@wright.edu or 937-245-7623. To register for the event, go to medicine.wright.edu/ghi-symposium.